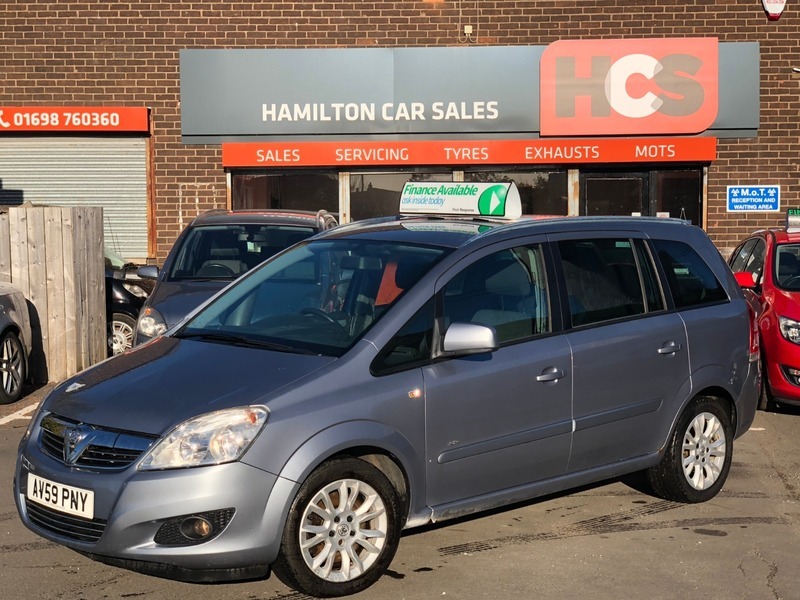 Vauxhall Zafira 1.7 CDTi ecoFLEX 16v Active Plus 5dr - £3,300 p/x welcome & Finance Available. EXCELLENT MPG 7 SEATER!! - Very nice family car which is in good condition inside & out, is great on fuel and drives well. These cars offer excellent value for money, good reliability & a large boot when the 3rd row of seating is down. Car comes with 1 years MOT (no advisories) & 1 year warranty. £3,300 p/x welcome & Finance Available. Service history, Good bodywork, Cloth interior - Good Condition, Tyre condition Good, 16in Alloy Wheels with Locking Wheel Bolts, CD 30 MP3 - CD Player with MP3 Format/Stereo Radio with Auxiliary-In Socket, CD 30 MP3 Radio/CD/MP3, Dark-Tinted Glass, Electrically Operated Front Windows with Safety Autoreverse and One-Touch Facility, Electronic Climate Control, Electronic Climate Control (ECC), Air-Conditioning. 7 seats, Silver, FINANCE IS AVAILABLE., 2 owners.